Four Winds RVs for sale are built by Thor. 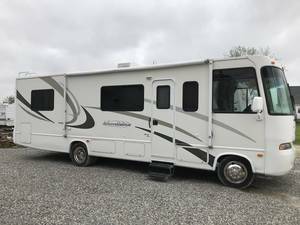 The Classic FourWinds Class C Motorhomes for sale have a dynamic combination of function and style. Multiple floor plan layouts will help you find just the right fit for your lifestyle. Whether it is small and compact, or large and roomy, there's a Four Winds that fits the bill. Every model is designed with the end user in mind, helping to concentrate and capitalize on living, sleeping and storage space. Look for Thor Motor Coach's 31-foot motorhomes for sale. Find your next Fourwinds RV today!